Identifying Businesses Processes for, and Challenges to, Electronic Supply Chain Management: A Case Study in Small Businesses in North-west Tasmania submitted as a group project. In this context, a report is prepared as an individual work. This report focuses on project management and methodology, project analysis and discussions on candidate evaluation. The logical flow was maintained while structuring the project. The project starts with an abstract. In the abstract, the findings of the research were discussed thoroughly. A company was chosen for completing the project. The chosen company is 20 years old and have 7 employees including the owner and manager. The manager of the organisation was interviewed in order to have a thorough understanding of the company’s current business practices, information system, human resources, various issues and challenges. The findings of the research are analysed to understand the process of fulfilling sales order, handling the receipt of ordered goods and updating inventory. A brief literature review was included in the project. The literature related to Supply Chain Management and Electronic Supply Chain Management was reviewed for this purpose. After this, the background of the company and its merchandise are discussed in the project. Data were gathered on the information system, software application, customer related issues, supplier related issues, stock-keeping issues, inventory issues faced by the company. In the next section, these data are analysed in order to understand how the company runs day-to-day business, receive and fulfil sales orders, reorder and update inventory and receive ordered stock. In the last section of the project, issues and challenges faced by the organisation are analysed. The selected methodology for this project is case study and qualitative data collection. As told by Meyer (2001), a case study is descriptive, explanatory or exploratory analysis of an event, group or person. Case study is a research strategy. This is an empirical inquiry, which investigates a phenomenon within the real life context. In a project, single case study or multiple case studies can be taken. For this particular project, single case study approach has been taken. Both quantitative and qualitative data collection or any one of these can be the data collection process. The selected data collection method for this project is qualitative data collection. Carter and Henderson (2005) comment that qualitative data is a necessity for a research as they take to the core of the research. Qualitative data are not numerical in nature. These sorts of data are narrative and descriptive in nature. There are many methods of collecting qualitative data. The methods include in-depth interviews, direct observation and written documents. In case of in-depth interviews, there can be both individual interviews and group interviews. The interviewer recodes the collected data in a number of ways such as audio recording, video recording, stenography and written notes (Advice, 2000). In case of direct observation, the observer does not actively ask questions to the respondent. Sometimes, the observer lives in a different culture or context for the purpose of observation. Existing written documents are also analysed sometimes in order to conduct qualitative research (Vogt, 2010). For this particular project, the owner/manager of the chosen company is interviewed to collect required data. The interview was face to face and was conducted by visiting the company six times. The collected data from the interview was stored by audio recording. The members of the group faced various challenges while preparing the project. As it was a group task, equal and active participation of all the group members were essential for the success of the project. However, all the members of the group did not perform equally as the capabilities of the group members vary. Therefore, it can be said that if all the group members performed equally and actively, the quality of the project increased to some extent. The challenges faced by the company were identified successfully from the collected data. In the project, no recommendation was provided to the company. The only effectiveness of the project is that it will provide a valuable resource for teaching. Honouring the wish of the company’s owner, the name of the company could not be disclosed. Due to the same reason, financial issues were also not discussed in the project. If these limitations were overcome successfully, the quality of the project would enhance undoubtedly. 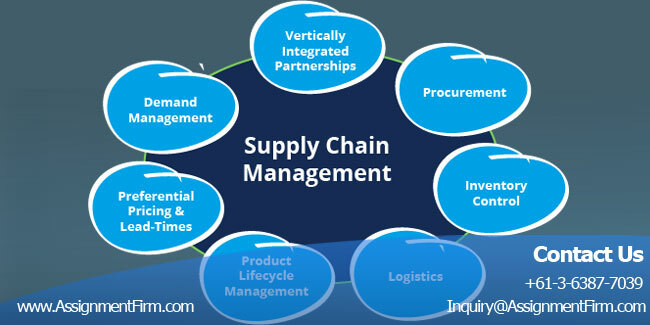 As per the findings, the company faces many issues related to the supply chain management. The challenges faced by the company include problems of order taking and internal information flow and the company supplier information/supplier information flow. There was a need of providing useful recommendation analysing the nature of the challenges. An effective recommendation can be the use of effective cost effective technology to enhance the internal communication. As opined by Fountain (2004), strong and effective internal communication should be the basic priority of any organisation. Weak communication among the employees of an organisation will lead to the disruption of information flow and without the proper flowing of required information no business can run successfully (Amaratunga and Baldry, 2001). The main challenge faced by the company is that the receipt of orders by telephone, fax, over-the-counter are not directly linked to the computerized information system and inventory level checking and updating are not done automatically. The flow of information between the company and its supplier is not very strong also. The company communicates with the suppliers for purchasing and restocking of orders only through fax. Due to this, the chance of errors increases to a great extent. Hence, it can be said that the company should use online methods for conducting these activities. This can be done easily, as three of the suppliers have online ordering facilities. It can be concluded from the report that a group project can only be successful if the members of the group participate equally and actively. The limitations of the project as a group task have discussed here. The report also reflects on the ways of improving the work.